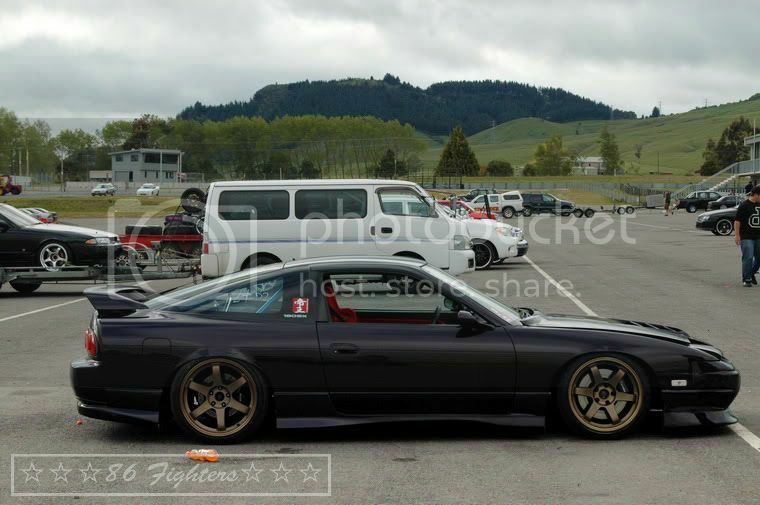 We both headed down to Taupo on Monday for a drift day organised by Drift Motorsport NZ. 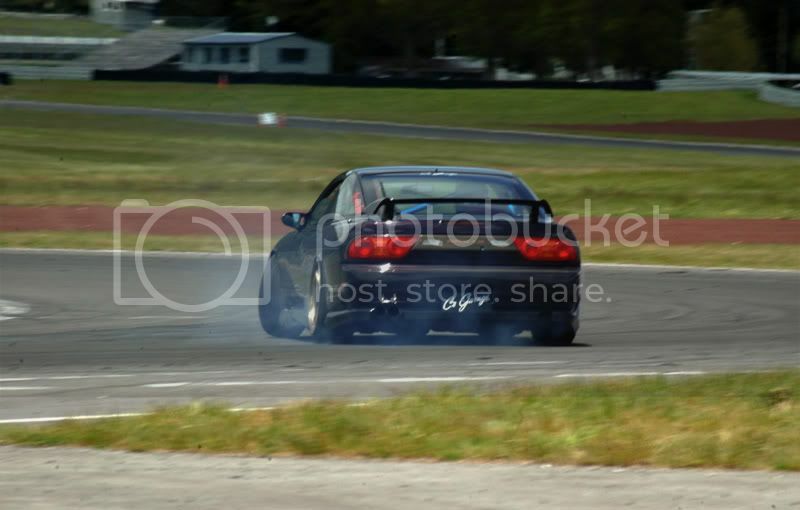 Awesomely run day, heaps of track time, basically full track drifting and super cool people to drift with. 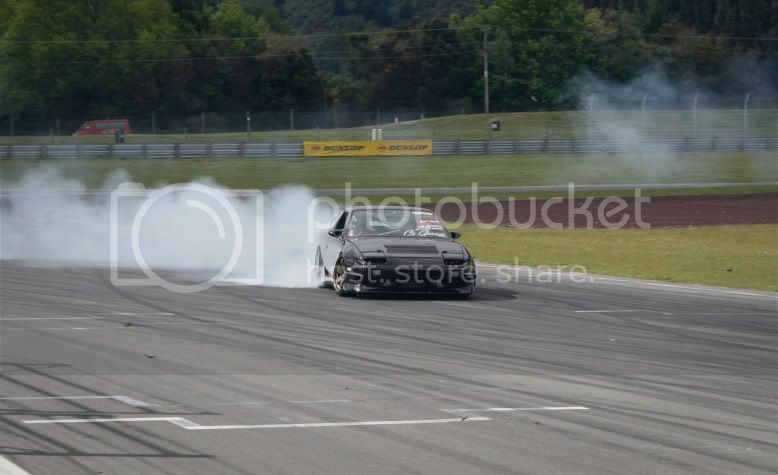 Damage for the day was; my rear gaurd and bumper destroyed due to a tyre exploding, 2 axles, and the track mashall beating up adams hotroad front when he came off (fixable though!). 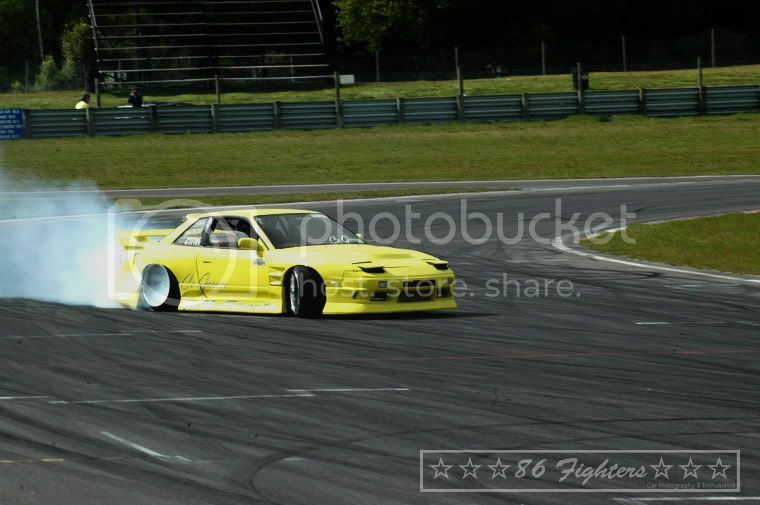 Cheers to Keisuke for the photos, check his blog for more shots from the day. Adam quickly pulled out the rears the Saturday before, so he could get rid of some of the camber in the back, hes going to clean up and respray the quarters soon. 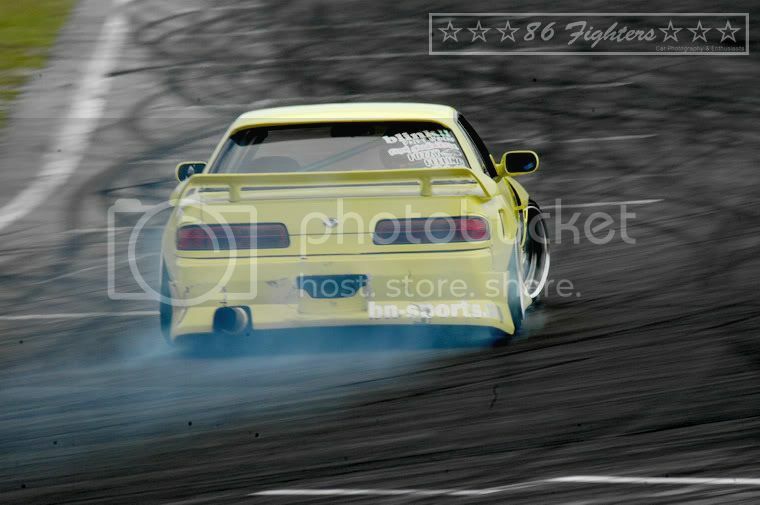 Both cars had heaps more grip, and it made a massive difference. 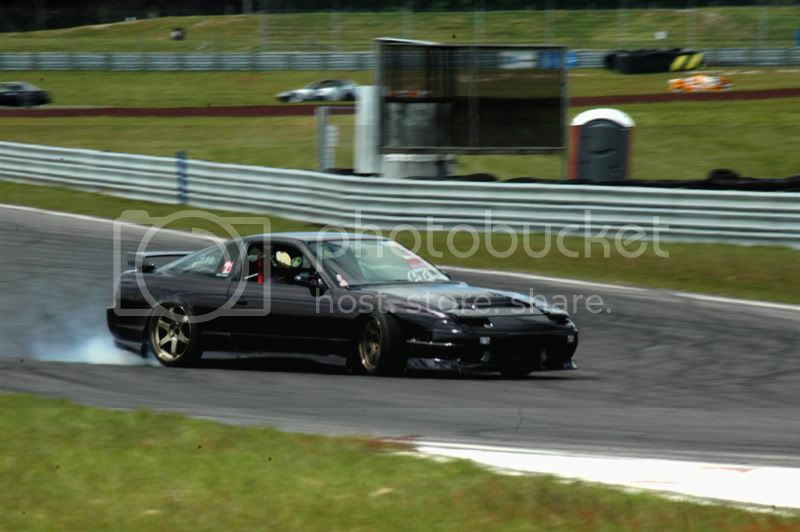 I also got my car tuned, it made 200kw which isn't much, but the torque curve keeps climbing right up till redline, and it was awesome to drift with. I just need to get a boost controller as the boost was dropping from 14 to 12ish psi. Both cars are due in for a freshen up soon.